In this uncertain economy, the benefits of cloud computing are significant: the economies of scale, the potential cost savings, fast deployment and easy scalability. So, what's holding up adoption beyond inertia? According to the Goldman Sachs Equity Research Report of 2011, 70% of the CIOs surveyed express major concerns about data privacy in the cloud. Specific concerns include data privacy and breach notification, loss of governance, regulatory compliance and data sovereignty. 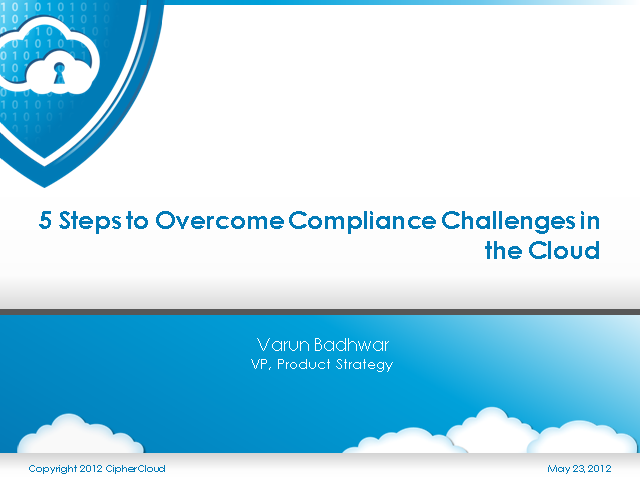 How should organizations manage these challenges while leveraging the proven benefits of cloud computing? • 5 steps to overcome these challenges while providing your business a competitive edge.